Here’s today’s Fan Art: A magnificent take on every single original episode by artist Dusty Abell. 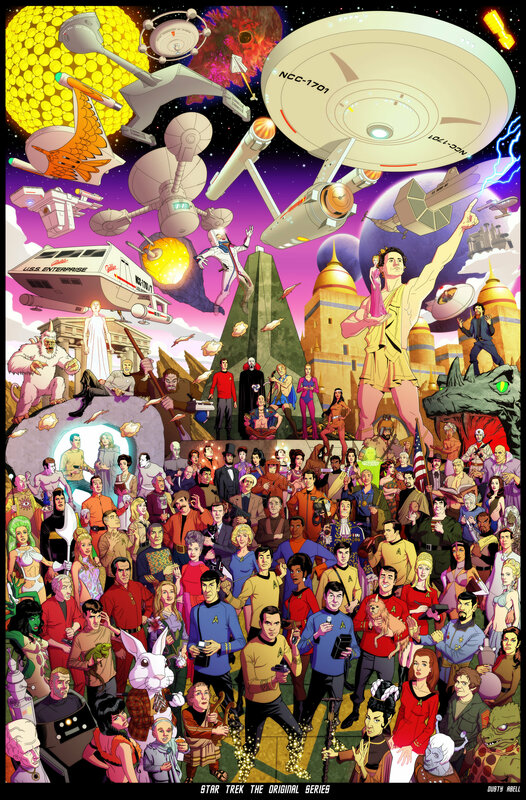 It’s the ‘Where’s Waldo?’ of Trek Art!! 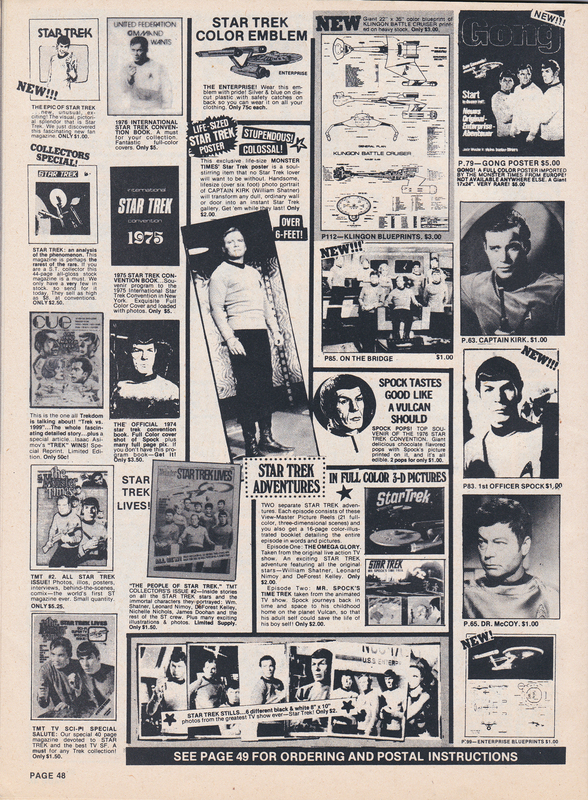 See how many episodes you can identify. Watch out for flying parasites! Can’t find them all? Here’s the key. 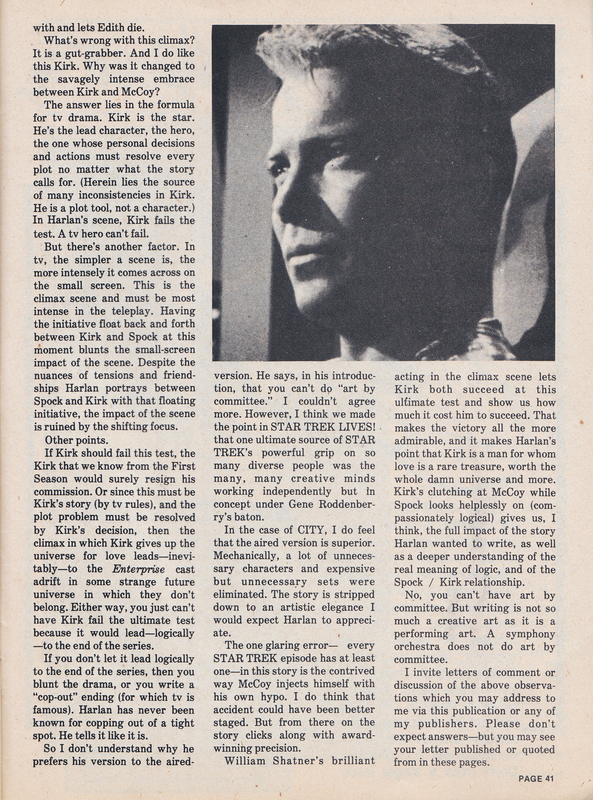 The Daily Scrapbook (8/29/13)– Trek Merchadise Ads! 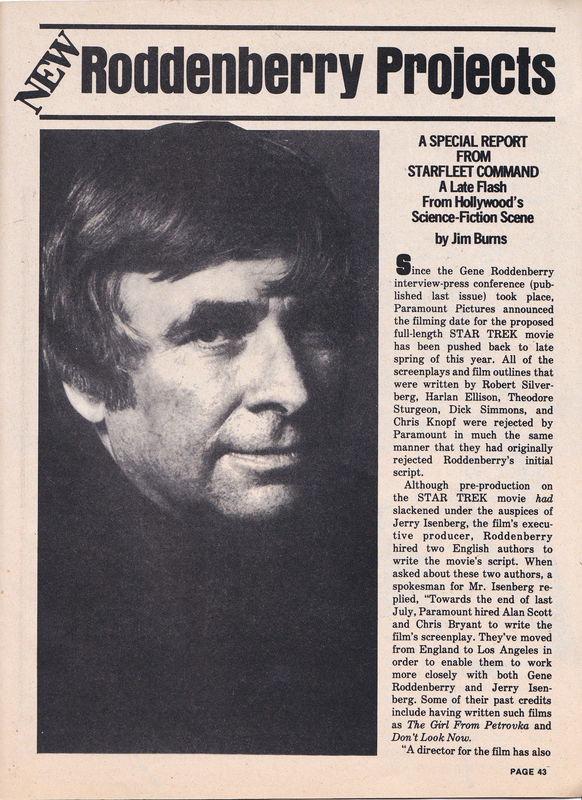 Here’s today’s flashback: In it’s 70’s rebirth through syndication, Star Trek was a marketer’s dream! 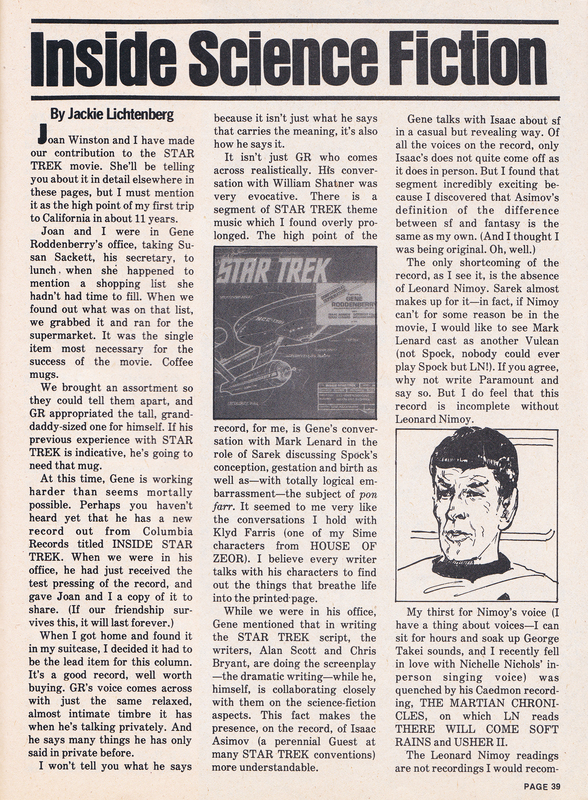 Everything you could imagine was found in ads from Starlog and Media Spotlight, among other Sci-Fi magazines. 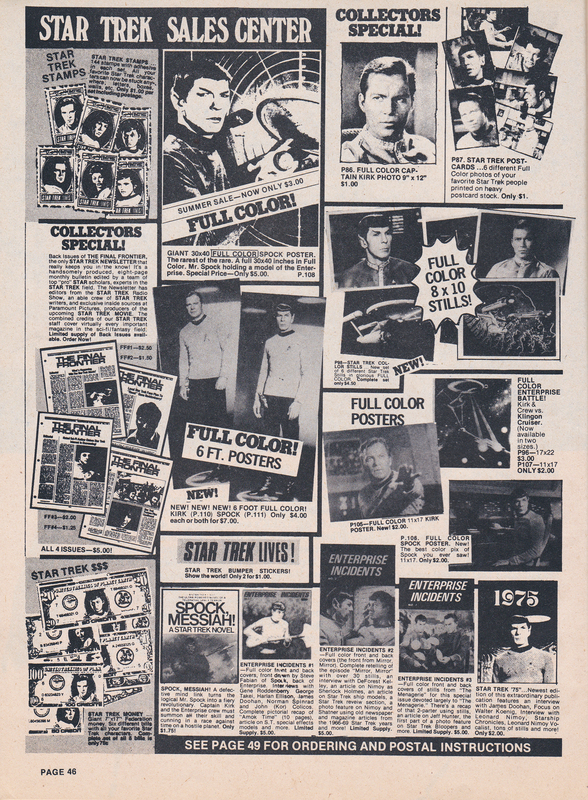 A lot of the stuff you see here could be bought at conventions too, and there was also Lincoln Enterprises, the company started by Gene Roddenberry to sell everything a Trekkie could want. The man knew how to make money! 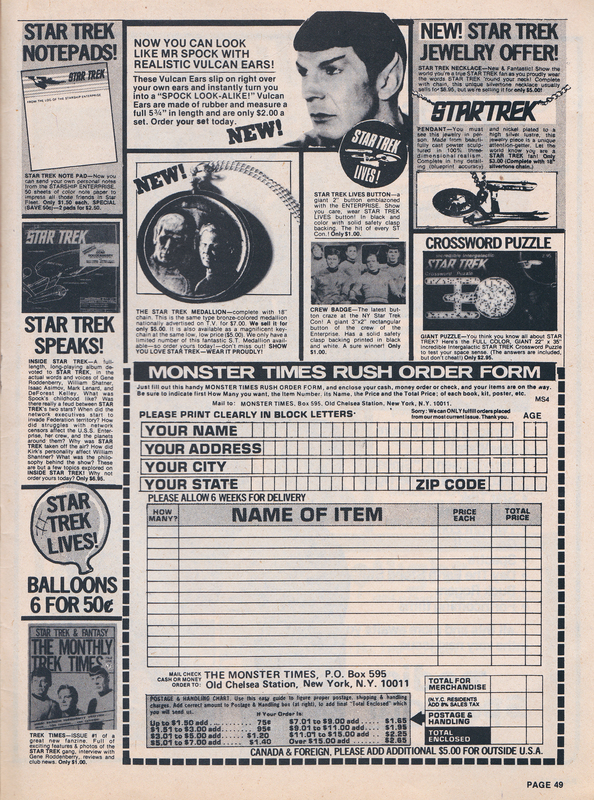 I wonder if anyone still has any of these fan-tastic items? 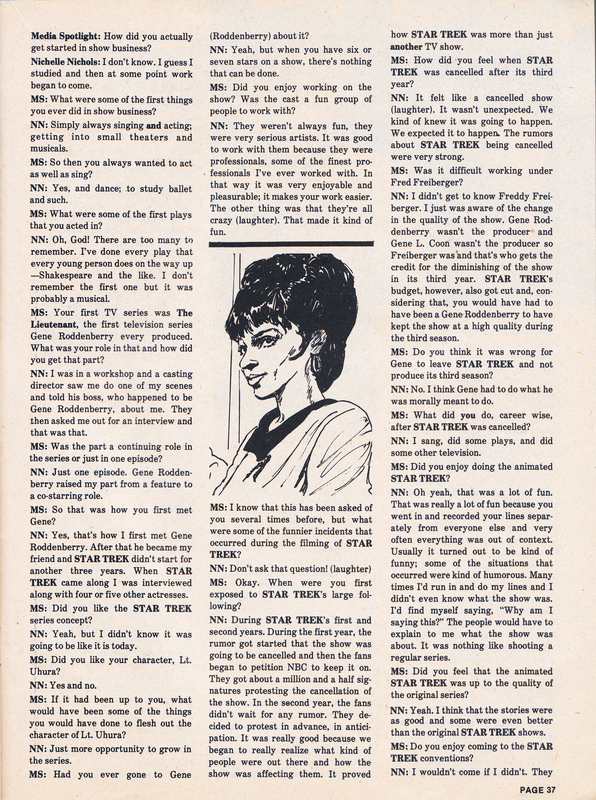 A Trekkie’s Paradise to be sure! 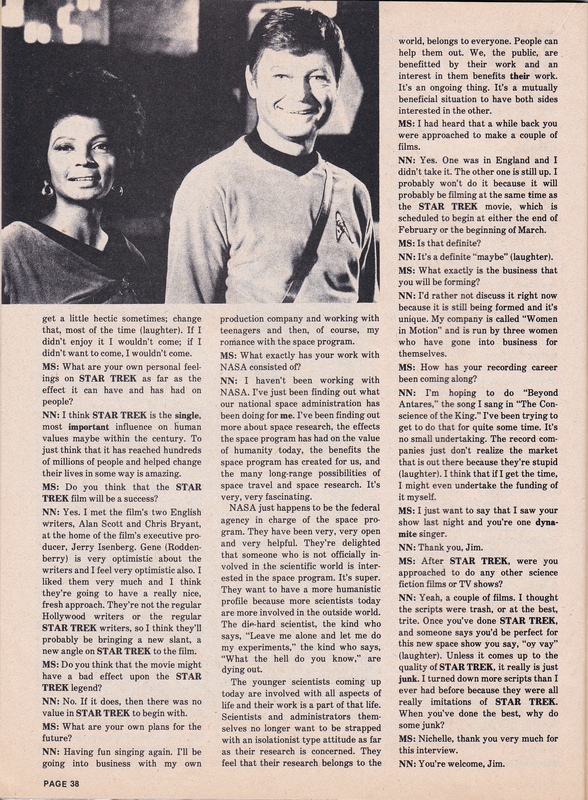 I recall way, way back when this first aired, (1974) I was not aware that Nimoy was a guest on The Flip Wilson Show that week, and I remember passing through the channels that night just in time to hear Flip Wilson say “…and thanks to my special guest, Mr. Leonard Nimoy!” My pubescent heart screamed “Nooooooooo!” (We had been watching A Tree Grows in Brooklyn on the other channel) and it didn’t occur to me that there might be a rerun of this Flip the following summer (this was in the before-times of no DVRs, On Demand, Hulu, Netflix, or even VHS). 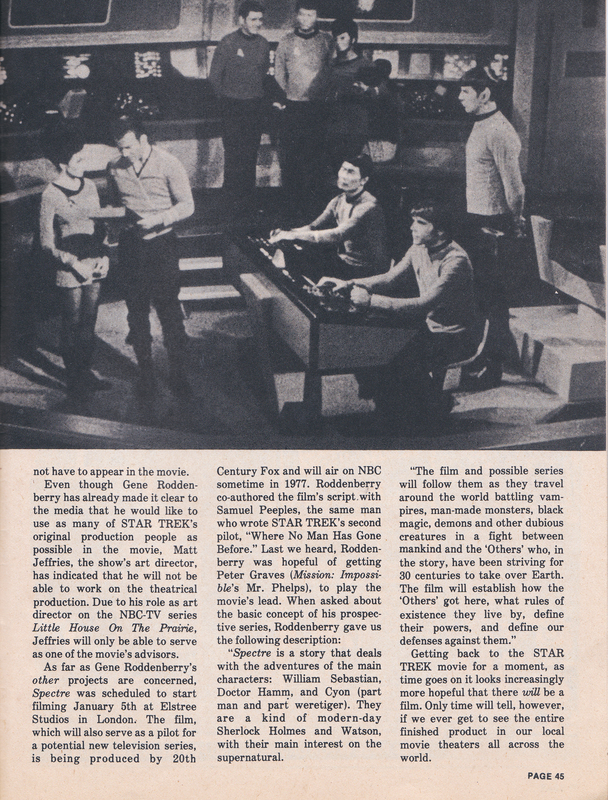 I was happy to see this skit some many years later on TVLand, but even this was an edited version of the original 60 minute broadcast (Mr. Wilson had personally edited down his original show to 30 minute segments for syndication) I know there were other skits on the show involving Nimoy, (for I had read about them in my LNAF Yearbook). But these other skits may have been lost to posterity — I hope somewhere they still exist! 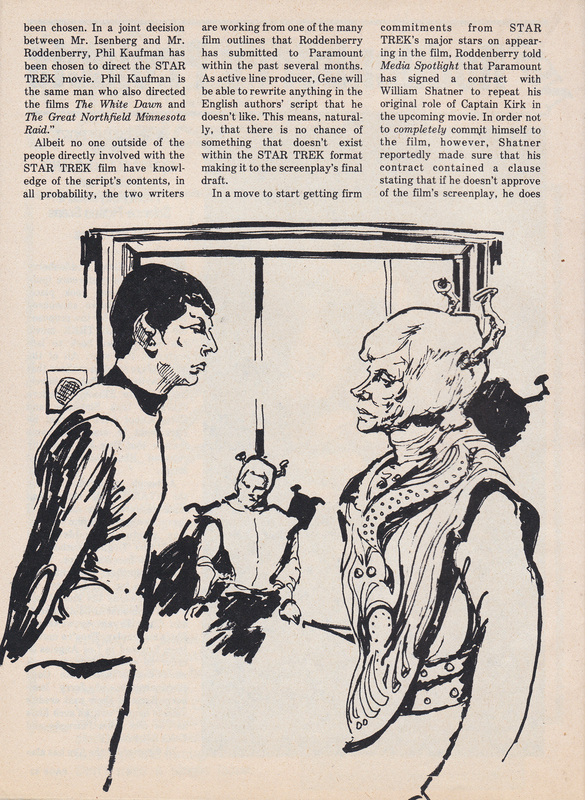 For now, enjoy these stills from the opening act of Flip!, where Flip wonders where the ear points are, and Nimoy goes into total Spock mode! The skit ends with Flip’s famous version of the High Five,(including the bump) – and of course, a Vulcan nerve pinch! You can see the whole skit here. 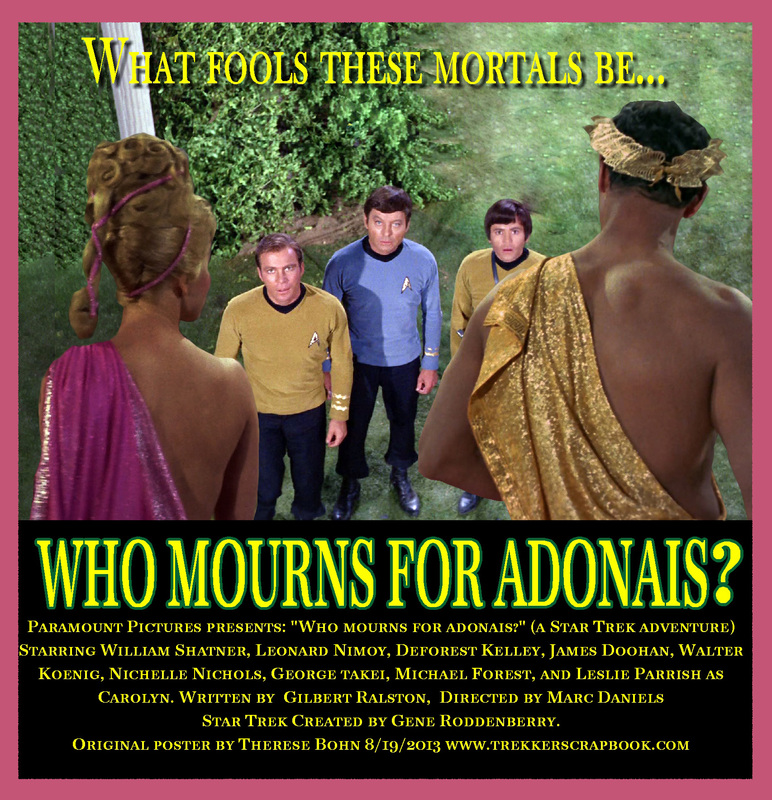 #33 “Who Mourns for Adonais? Here’s my latest Trek poster– I felt kind of sorry for Apollo in the end. But I’m really happy with this poster! 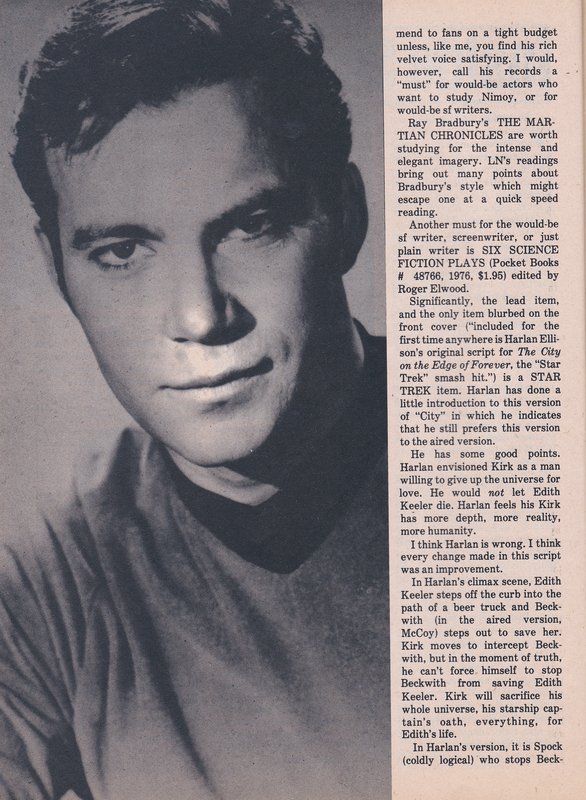 Tagged Apollo, Carolyn Palamas, Chekov, Kirk, Leslie Parrish, mccoy, Michael Forest, Star Trek, Who Mourns for Adonais? 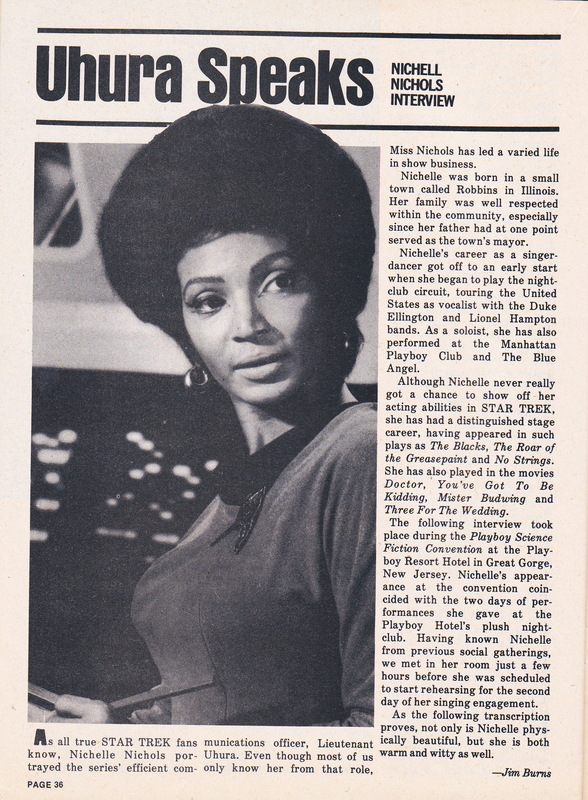 Here’s today’s flashback: Another installment of Media Spotlight Magazine, this time, a great interview with delightful Ms. Nichols by writer Jim Burns.